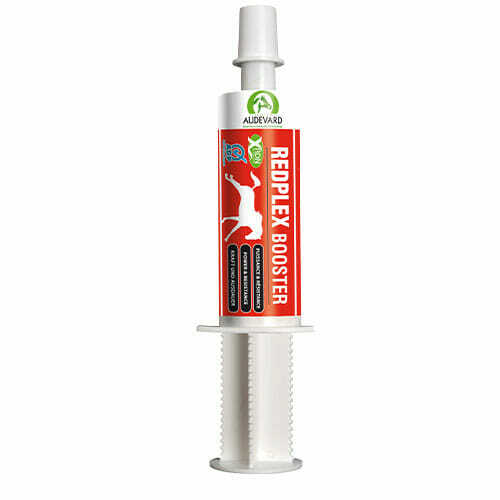 Redplex booster is a complementary feed by Audevard to give before races or events. Redplex booster is a concentrated mix of vitamins and minerals including folic acid and iron for energy and red blood cell production. It comes in an apple flavour. Administer a syringe before any event, including shows, races, intense schooling sessions, and during the breeding season for stallions.